You are here: Home / Life / 10 Best Scooter Stores for Students in the U.S.
College campuses: big and hard to navigate. Walking takes too long but driving means expensive parking fees. Many students have found an alternative that solves both: riding a scooter. Who doesn’t want that breeze in your hair feeling? This allows you to take some of the same shortcuts you would take walking while also cutting down the restrictions of parking. Just think how nice it would be zipping around campus past all the students walking and squeezing into even the smallest of parking spaces. 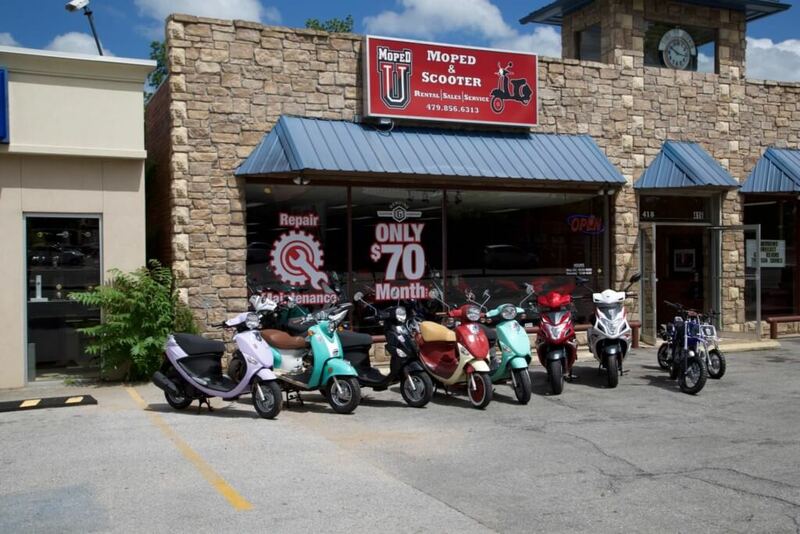 These scooter stores ranked the best in the nation with the greatest quality scooters, affordable options for students, helpful resources (even scooter training sessions), excellent warranties, exceptional service, solid websites and close proximity to campus. Check out the 10 best scooter stores in the U.S. that’ll help you ride with style even after you swipe your credit card. Roll out of bed at the University of Iowa and you might find yourself at MopedU’s door. MopedU is only half a mile from the center of campus. The team works one-on-one with students, walking them through the steps and choices that come with your new and exciting scooter purchase. Iowa scooters over 50cc require a motorcycle license. Otherwise scooting around campus means no new documentation or visit to the DMV. MopedU still wants its customers to prepare for the streets. 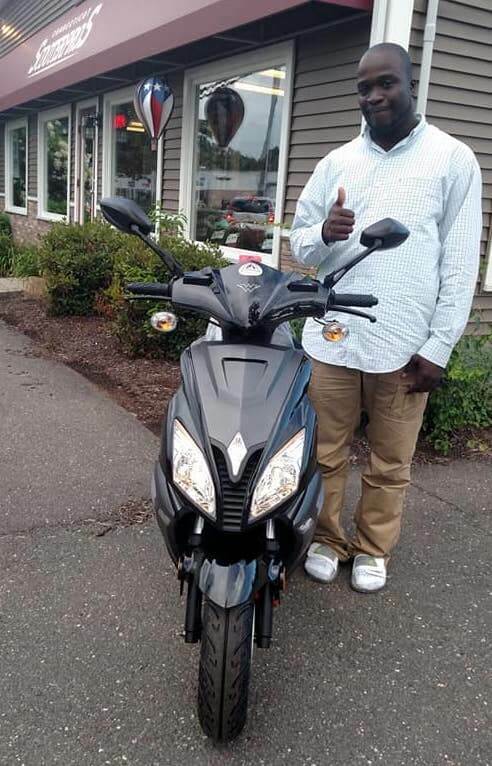 “When people buy a scooter [under 50cc], since they don’t technically require any formal training, we do teach people how to ride in our parking lot,” MopedU Marketing and Promotions manager Andrew Pec said. “On top of that, we offer warranties that range from 30 days [for used scooters] to three years with different price points to try and match the length of time students would be using their scooters.” Pro tip: Scooter drivers in Iowa City and at UI can snag parking permits. MopedU can’t sell them directly but they will give you the insider tips and tricks to getting one. New Scooters 4 Less is a one-stop shop for new scooter drivers at University of Florida and Sante Fe College. NS4L processes the certificate of title, vehicle registration and license plates for each scooter they sell. That way they save you an excruciatingly dull afternoon waiting in the eternal DMV line. New Scooters 4 Less only offers the best of the best, top of the line scooters like Wolf Scooters, Vespa and Genuine. They’ll cost more than the off-brand $1,000 scooters you find elsewhere, but they’ll last you past your undergrad years. “Every scooter NS4L sells I believe is the best value for their price point,” said NS4L General Manager Michael Dees. Prices start at $1,099 and can go up to $5,000+ depending on the make and model. NS4L founder Collin Austin even puts together vlogs about travel, personal branding and of course, scooter troubleshooting. Convenience is key, even for scooter stores. 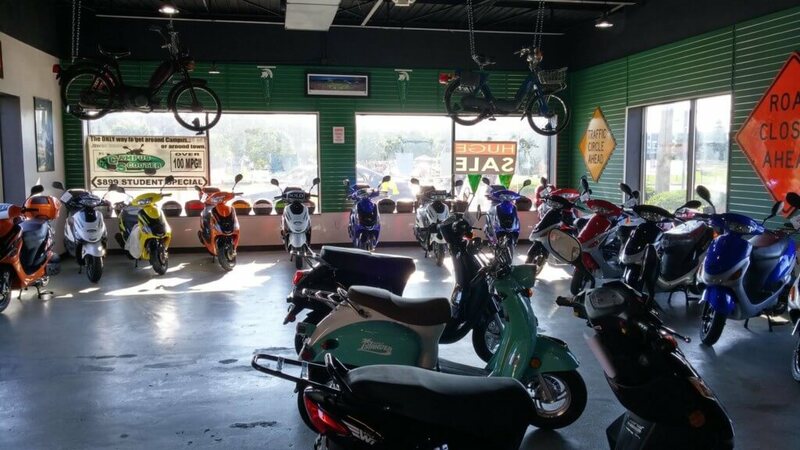 Between Tallahassee Community College and Florida State University, Scooterville-Florida sells a variety of scooters starting at $699. You look for style—your parents look for dollar signs. Scooterville-Florida wants you to meet in the middle. They recommend that students buy a 49cc Wolf Brand scooter for around $1,000. Wolf Brand stocks scooter parts in their Florida warehouse so they can send parts quickly and at a lower price. They also come with a one-year bumper-to-bumper warranty, so Mom and Dad will rest easy knowing you have a built-in backup plan. Keith Yarborough at Scooterville said, “Keep up with recommended services and stay up-to-date with what the scooters need for it to be in the best condition.” And in your first month scooting around, you’ll also get a 30-day bumper-to-bumper guarantee. Every Spartan needs a chariot. Campus Scooter helps you find the ride that fits your style. And if you need a ride from Michigan State, CATA Bus Stops #5885, #4799, #4, #4804, #9 and #5886 will take you right to Campus Scooter. They also offer storage and free layaway. Students who want VIP status can buy “care-free packages” for an additional fee. Care-Free Packages cover tune-ups like battery charges for life to engine oil and transmission services. With scooters ranging from $1,099 to $2,299, Campus Scooter offers makes and models that can fit your specific needs. Putting their customers first, they give a $20 discount per labor hour. Confused new scooter riders can head to a hilarious and informative FAQ page on the Campus Scooter site. It answers all your burning scooter questions like, “Is it okay to laugh and make fun of people at the gas station while refueling?” For a good laugh and more importantly a reliable scooter, Campus Scooter has your back. College Scooters is the ultimate D.C. scooter hot spot. It’s located less than a mile from the University of Maryland, College Park Campus and within 15 miles of American, Georgetown, George Washington, Gallaudet, and Howard University. College Scooters also offers deliveries and pickups anywhere in the Mid-Atlantic Region for your convenience. So, you’ll never miss out on quality service with a scooter in tow. College Scooters wants to remind buyers that the purchase price might not be the only thing you should consider. Everyone wants to ride in style and comfort. “Over the eight years we’ve been in business we’ve come across pretty much every make and model of scooters available in the U.S.,” said Navid Mazloom at College Scooters. 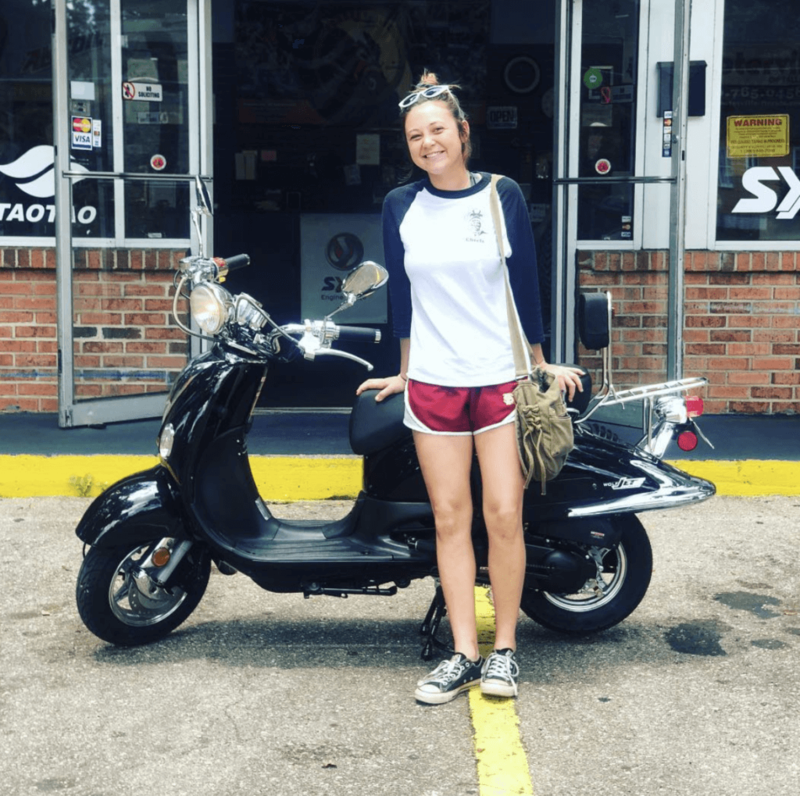 “The brands we have chosen to offer are truly the best scooters at each price point.” They also run Saturday training sessions where you will receive one-on-one instruction by a team member to get you ready for your new scooter. Drive around the parking lot to learn tips and tricks for riding your scooter in style. CT Scooter Pros handles everything from purchase to parts. They stock lots of parts in-store to avoid charging you lots of cash for repairs. Consider that more money for Starbucks before your 9 a.m. lecture. They’ll also fix your scooter in store and provide an exclusive CT Scooter Pros 12Month/1000km drivetrain warranty, parts and labor included. For 11 years their philosophy has been to lead the industry of scooter providers as the top choice for customer service, parts and maintenance. And you know they value quality selling scooters like the Wolf Islander and the Wolf Blaze. If you go to school in Connecticut this store fulfills all your scooter needs so you can ride to class in style. Renting is a part of students’ lives from housing to textbooks. Why not scooters? Scoots offers something unique and affordable for college students: scooter rentals. Prices vary depending on the length that you want to use the scooter and whether or not you want it for a home game weekend at Texas A&M University. Aggies scoot from tailgate to tailgate with ease. You can rent for a month, semester or even look into a rent-to-own plan. With this alternative to flat-out buying a scooter, Scoots makes it easy to see why owning a scooter sounds like such a good idea. Plus, Aggies will get a better chance at convenient campus parking. With 60+ scooter lots at TAMU alone, scooters make it easy to find parking in crowded parking lots when traveling with friends. So stop walking and starting scooting with Scoots. Sportique Scooters specializes in vintage scooters that will get your engine revving as well as offering new and used models. 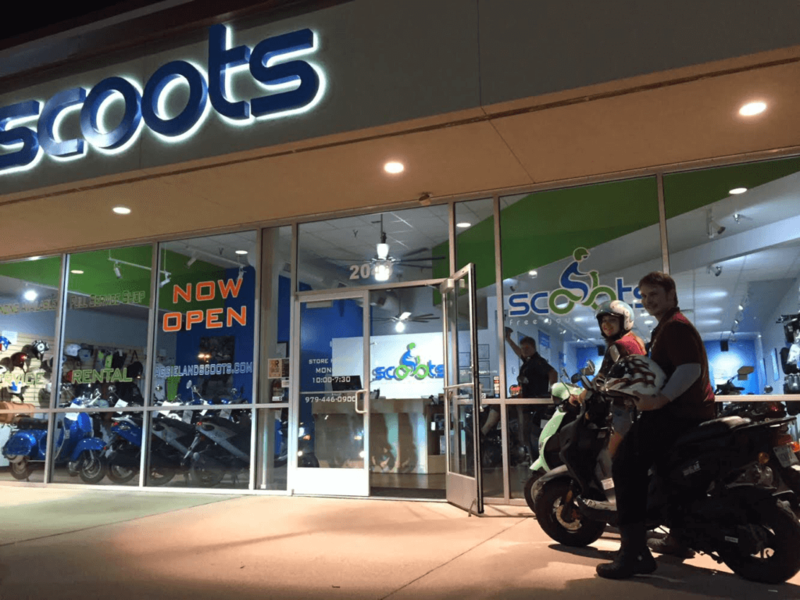 Located in Denver, Boulder and Colorado Springs, Sportique Scooters offers scooters starting at 50cc; but make sure it doesn’t exceed that because the cost and licensing required to be a biker might not fit the lifestyle of an average college student. Sportique offers same-day maintenance in most cases so your scooter will never be out of commission for too long. Their turnaround times on typical repairs usually come out to under two weeks depending on parts availability. That includes complete engine rebuilds. They back their repairs with a 90-day warranty to ensure that you save every dollar you can for your rent payment. Last month the company celebrated 20 years of service. They even offer performance upgrades to make your scooter into a lightning fast hot rod that will attract all sorts of attention scooting around campus. 10. Salt Lake Scooter Co. Servicing 48 brands, Salt Lake Scooters offers pick-ups or you can drop the scooter off at any time for repairs. That comes in handy for busy students on the go. This store offers all sorts of services from oil changes to disposal. No appointment necessary so you can be in and out before class. Interested in purchasing a used scooter? You will need to go into their shop to browse their inventory. Get ready to zip out with the scooter that’s the best fit for you. Thank you for participating. This giveaway has ended. 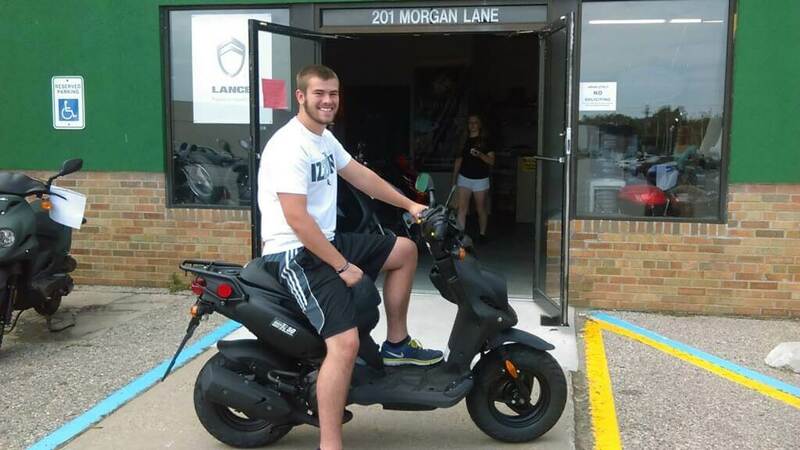 Congratulations to Ben Faupel from Michigan State University on winning our Wolf Scooter Giveaway!